Transform markets. Transform society. Transform behavior. Transform industry. Transform institutions. Transform economics. Transform architecture. Transform land use. Transform agriculture. Transform cities. Transform transportation. Transform education. Transform government. Transform thinking. Transform doing. Transform everything. Transform to Sustainability. A series of events in Arlington VA underscores issues with our political system that prevent good people from serving in public office. Arlington School Board member, Libby Garvey won that election, requiring her to resign her seat on the School Board. The empty School Board seat did not need to be filled by election; the four remaining School Board members chose the replacement board member. The School Board chose Todd McCracken to fill the empty seat through the end of 2012, at which time whoever wins the election in November will take the seat. When the school board announced the process for selecting someone to fill the empty seat, sixteen (16!) citizens submitted letters of interest and resumes (disclosure: I was one of those). For a relatively small jurisdiction like Arlington, that struck me as a remarkable level of interest. On May 19, I attended the Arlington County Board meeting and made comments during the public comment period. Each commenter is allotted two minutes, so I had to keep my remarks short. My name is Steve Offutt, and I wanted to bring to the board’s attention recent activity by the parks department that needs to be addressed as soon as possible. There has been a proliferation of bollards in Arlington County over the last few weeks. I know of six that have been installed within one mile of my house, all of which are unnecessary. From conversations with insiders, I have learned that these bollards are being installed without consensus among staff and against the recommendations of some staff with cycling expertise. 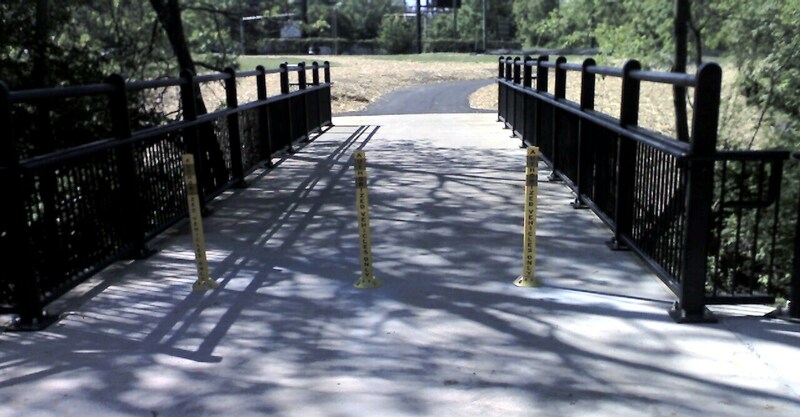 In any case, they are being installed without community input and without any input from the Arlington Bicycle Advisory Committee, of which I am a member. I have previously posted about how bollards are mostly unnecessary and often create more problems than they solve. On Monday I attended the Queen's Day celebration at the Royal Netherlands Embassy in Washington DC. As it turned out, the trip to and from utilized numerous modes of travel that all added together to make for an interesting trip as shown on this map.